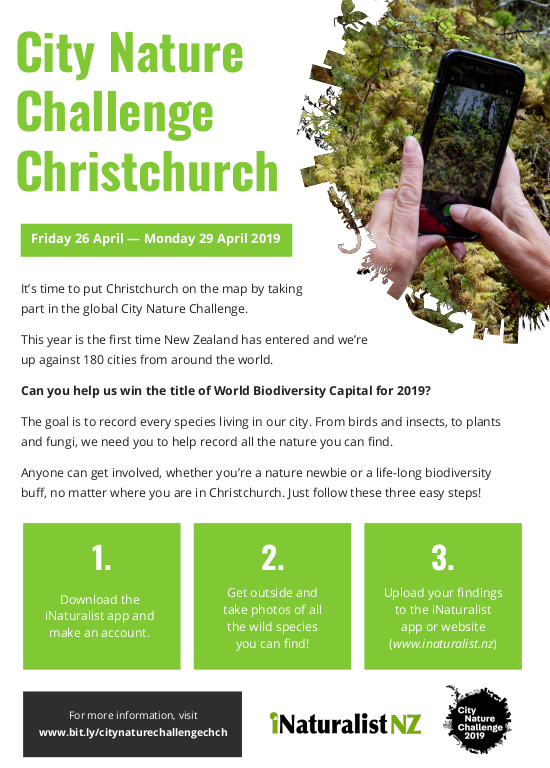 Between the 26th-29th April 2019, iNatualist NZ Mataki Taiao, will host the New Zealand/Christchurch entry in the global City Nature Challenge. Our goal is to record the biggest selection of animal, plants and mould sightings and win the internationally coveted title of Biodiversity Capital of the year. 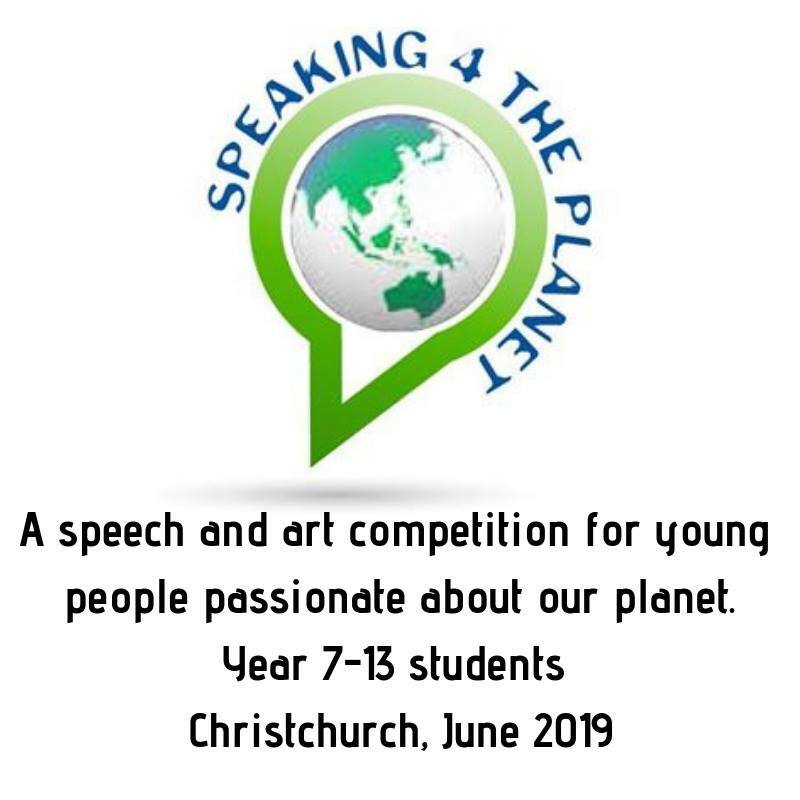 Know some kids or your school that would be keen to Speak for the Planet? This is a new opportunity to give our children and planet a voice. Get your school involved – share to your school page! You’ve welcome to visit us any Thursday to muck in, do some mahi and korero. We have a shared lunch around 1pm, fresh picked from the farm (koha if you can). If there is a group of people coming to visit, a heads up would be great. With the help of Kiwibank, Predator Free New Zealand are giving twenty schools up to $1,000 towards predator trapping to save native species in their own school yard. Funding is for traps and trapping equipment to teach children about the damage mammalian predators cause to our native species and the benefits of predator trapping. All schools can apply – primary, secondary, large or small, urban or rural. Applications open on Monday 17 September and can be submitted until midnight on Monday 22 October. More details can be found here. The application will be available online from 17 September. The Emissions Trading Scheme (ETS) is New Zealand’s main tool for reducing greenhouse gas emissions so it’s important that it is a credible and well-functioning scheme that helps us meet our climate change targets. There are two sets of proposed improvements to the ETS. The first set proposes to strengthen the ETS framework so that it is a credible and well-functioning scheme that helps us meet our climate change targets. Read the consultation document about these improvements here. The second set relates to forestry and proposes changes to reduce complexity and other barriers to forestry owners being part of the scheme. Read the discussion document and related information about these improvements on the MPI website here. A decision about whether agriculture will be included in the ETS isn’t part of the consultation. This decision will be made next year. Trees soak up carbon and help keep our planet cool. We need their help and sustenance, and now they need our help and protection. Be part of the move to plant and care for trees and the land. We’ll have native seedlings for a gold coin koha for you to take home and plant, or you can choose seedlings to plant in a City Council park on Saturday 15 Sept. There’ll be music, speakers, info stalls, food forest tours, face-painting and fun activities for the kids. Christchurch taking flax-roots action for the climate!